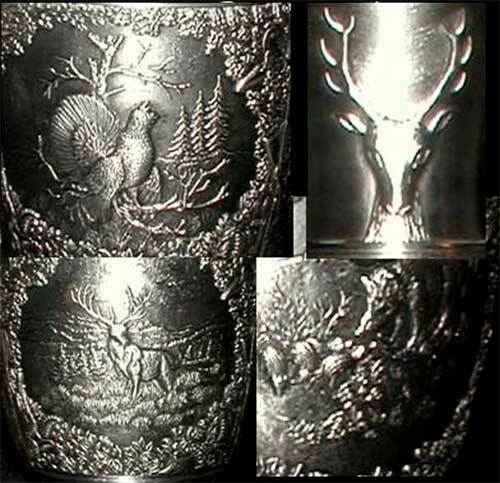 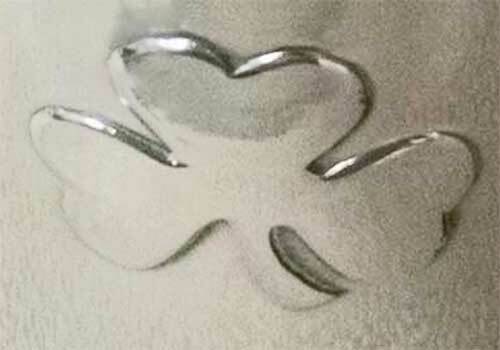 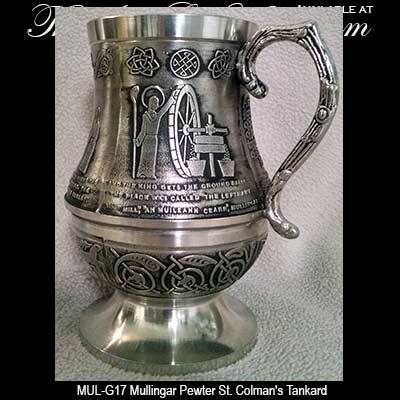 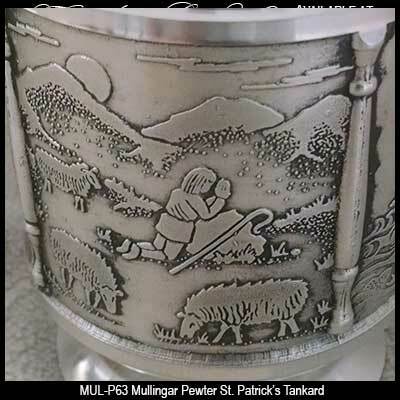 Pewter tankards from Mullingar consist of a large variety of designs that includes the Claddagh, shamrocks and Celtic knots. 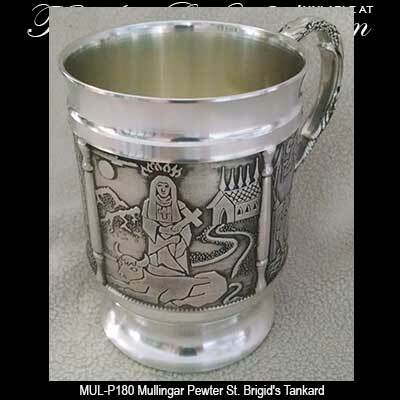 Mullingar pewter beer tankards also display Irish legends and Irish saints. 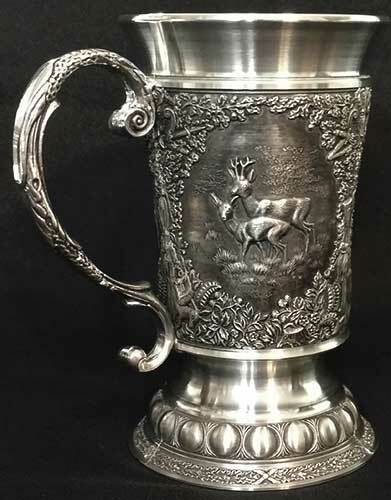 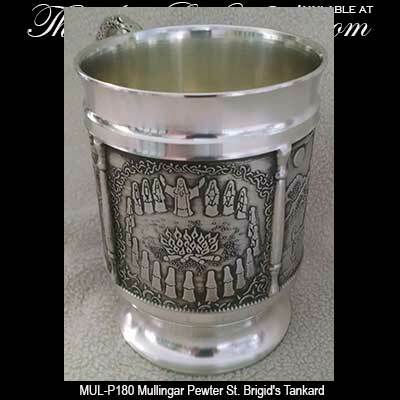 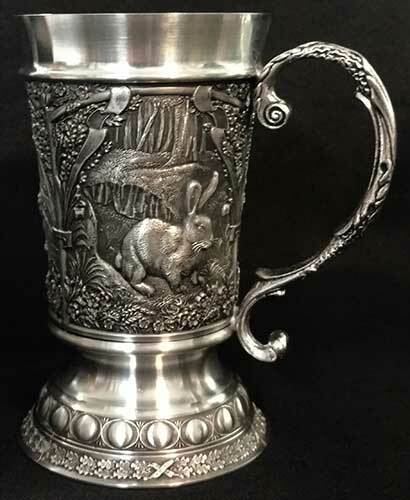 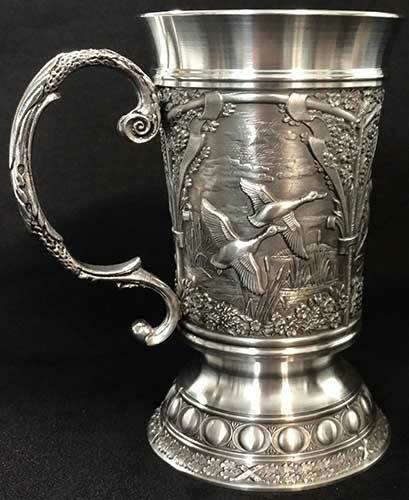 Typically a tankard is defined as a drinking vessel with a handle and you will notice that several of these pewter tankards from Mullingar Pewter have embellished handles to further enhance the various Irish and Celtic embossed designs. 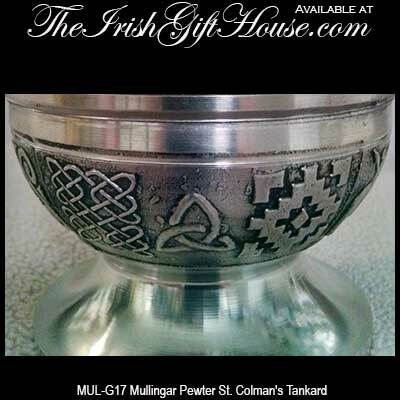 The Irish Gift House is proud to offer such a wide range of pewter tankards that includes the woodland series from Mullingar Pewter. 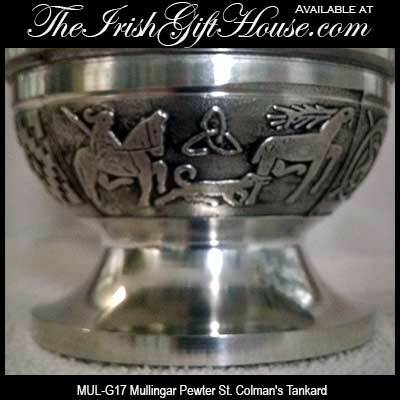 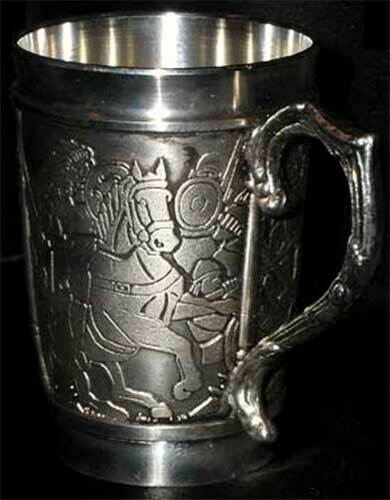 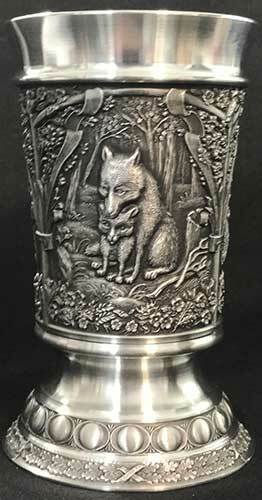 Mullingar Pewter tankard features the The Hound of Culainn Irish Legend embossed on three panels. 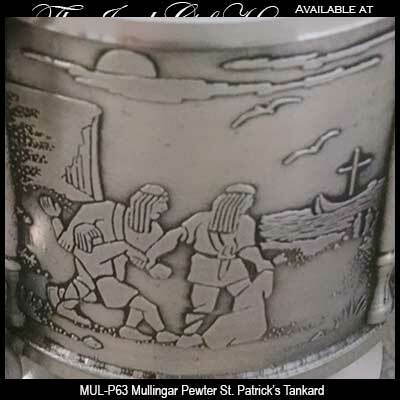 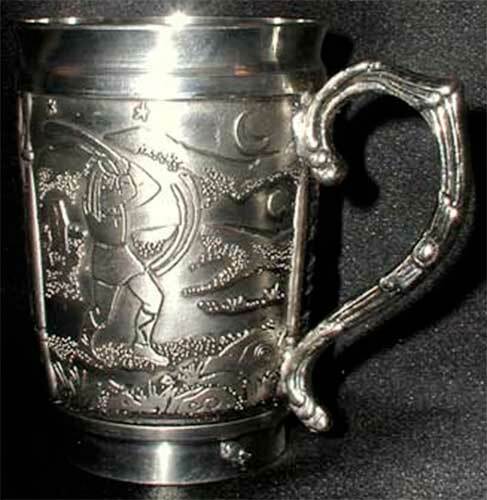 Mullingar Pewter tankard features the Cuchulainn and Ferdia Irish Legend embossed on three panels. 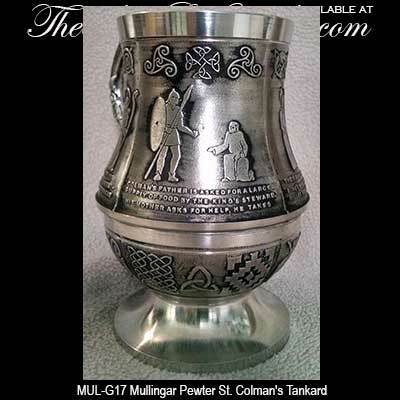 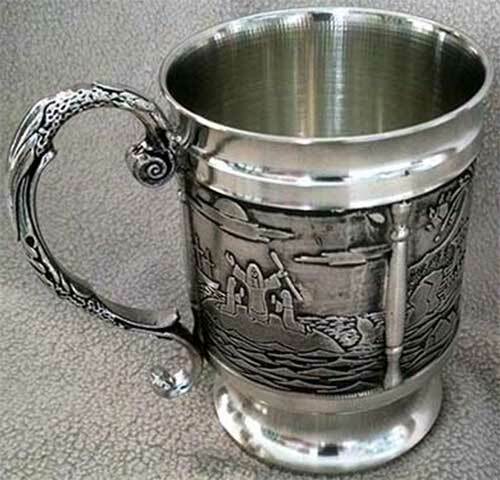 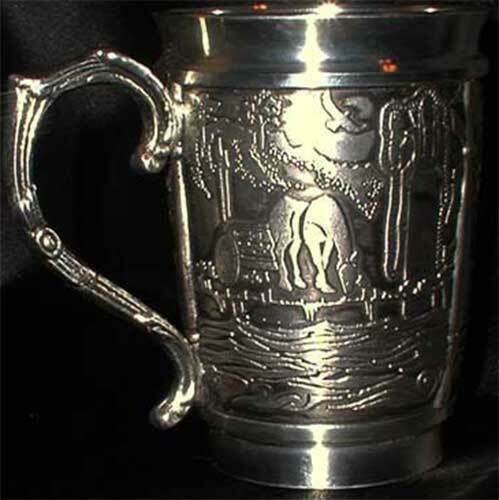 Mullingar Pewter tankard features the Salmon of Knowledge Irish Legend embossed on three panels. 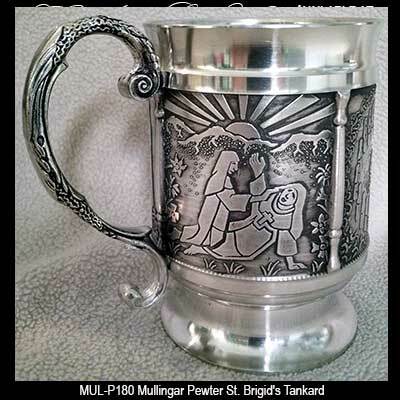 Mullingar Pewter tankard features the Children of Lir Irish Legend embossed on three panels. 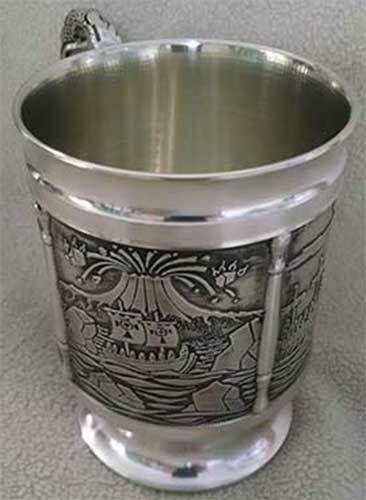 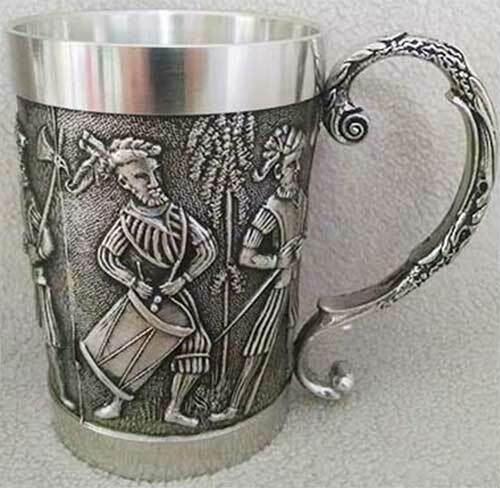 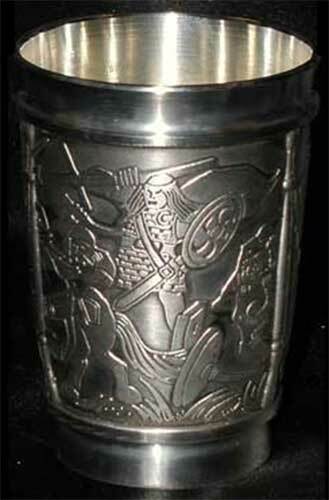 Celtic tankard is a footed pewter mug that features St. Colman depicted on embossed panels. 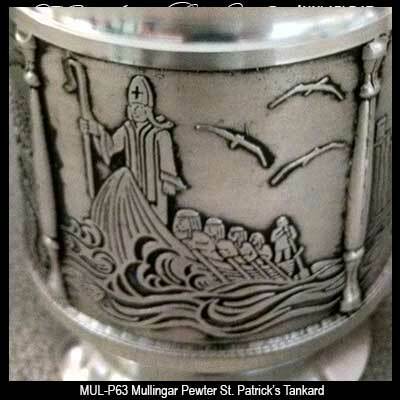 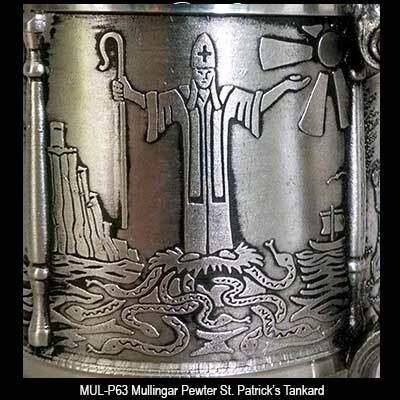 Celtic tankard is an Irish pewter design that features the voyage of St. Brendan the Navigator depicted on embossed panels. 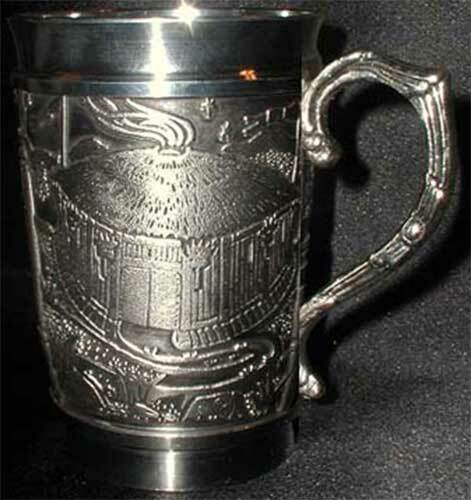 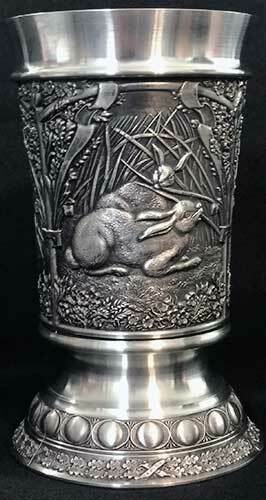 Saint Brigid's tankard is made of pewter with embossed panels. 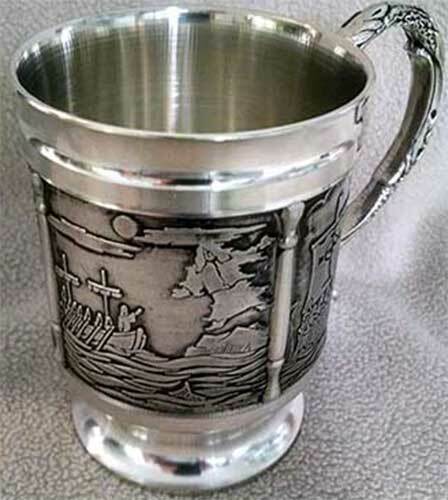 These tankards are a grand way to drink a pint of your favorite brew; you and your friend will appreciate the craftsmanship and the iconic designs. 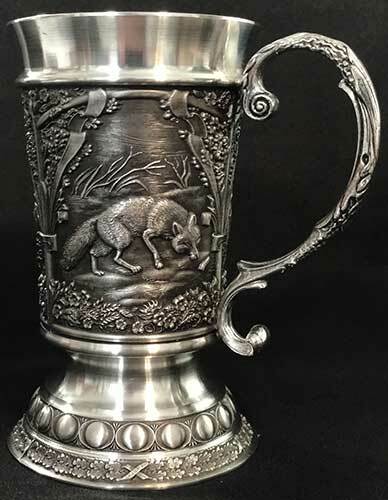 The Irish Gift House also offers a selection of Irish crystal tankards and a group of Celtic tankards that include many that feature iconic emblems. 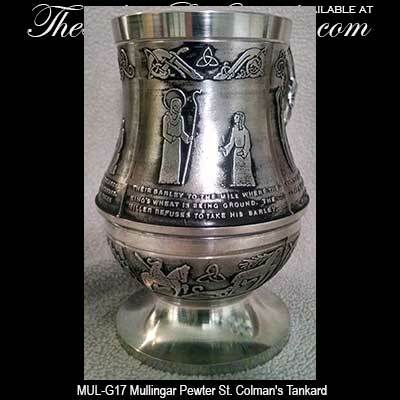 We would be remiss if we didn't mention that we have several Guinness tankards that are a great way to savor the black stuff. 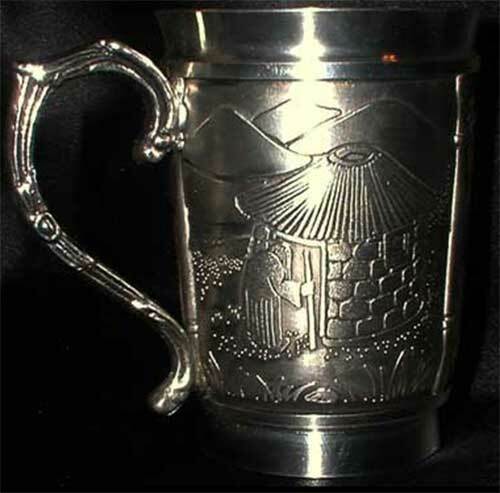 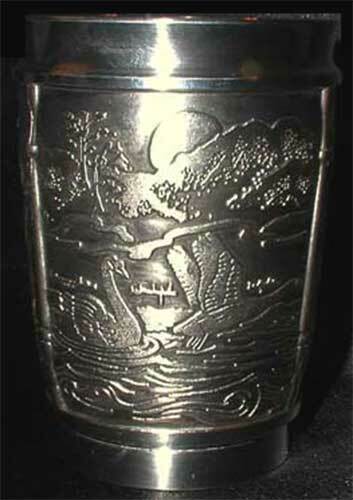 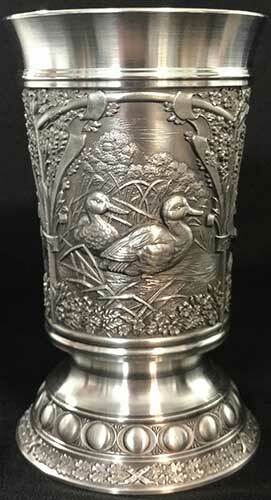 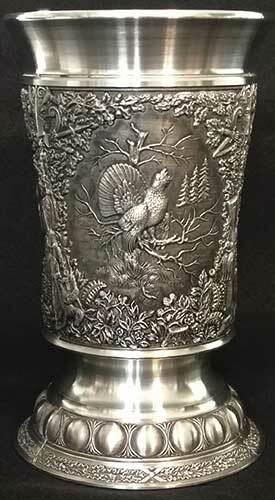 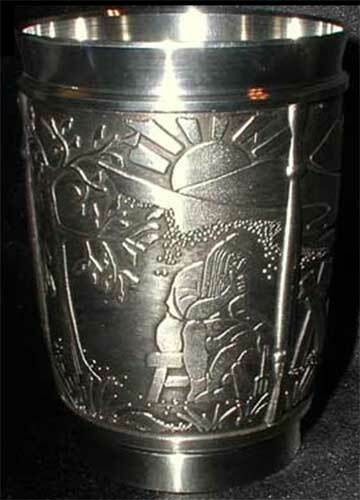 We also feature lidded pewter steins that would be enjoyed by collectors. 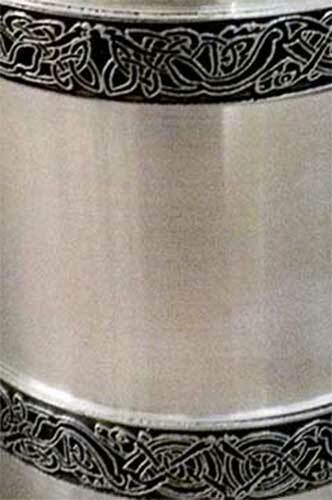 Additional considerations for your larger and stout are the assortments of Irish beer glasses and the Guinness glasses. 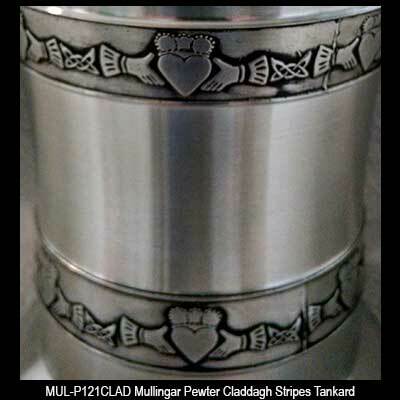 We even have several pint glasses within the Irish coat of arms glassware category so that you may really display your pride of heritage and your family name.